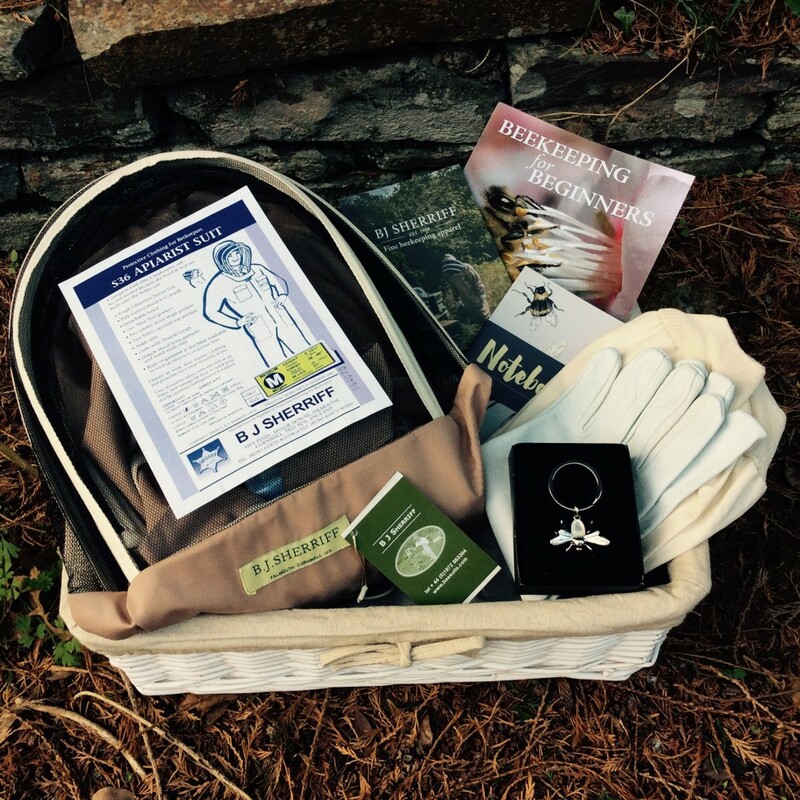 We’re giving away a luxury basket hamper containing one of our fine quality bee suits (inc. gloves), Beekeeping Book, notepad and pearlised Key Ring in our Christmas competition. This luxurious hamper contains our best selling quality made Apiarist all-in-one beekeeping suit, a pair of purpose made gloves, a ‘Beekeeping for Beginners’ comprehensive guide by Andrew Richards and revised by John Phipps. A useful note book and lovely pearlised bee key ring all housed in a cloth lined hamper basket. Worth £190 – the lucky winner will be able to choose their own size and colour of Apiarist Suit and size of GL2 Sheepskin Gloves. Simply contact us with your answer to be in with a chance of winning… Good luck!